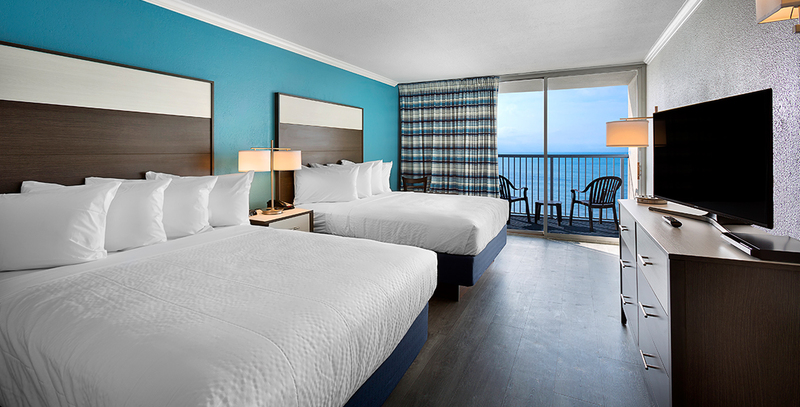 Enjoy spectacular sunrises from this oceanfront suite located in the Indigo Building. 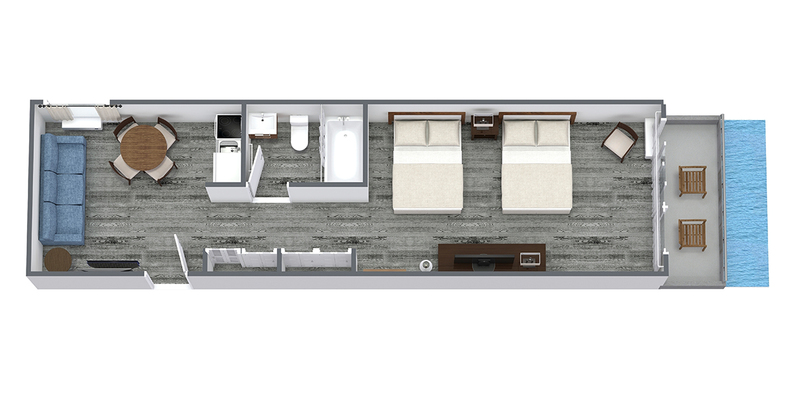 These units feature two queen beds, two HD flat screen TVs, a full bath, a full-size sleeper sofa, a kitchen with a stove, full-size refrigerator, microwave, basic cookware and utensils. 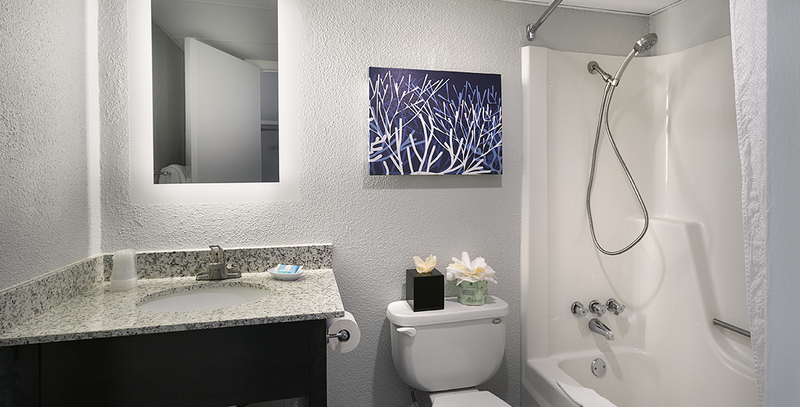 Located just steps away from the ocean and all of the fantastic amenities that Compass Cove has to offer.